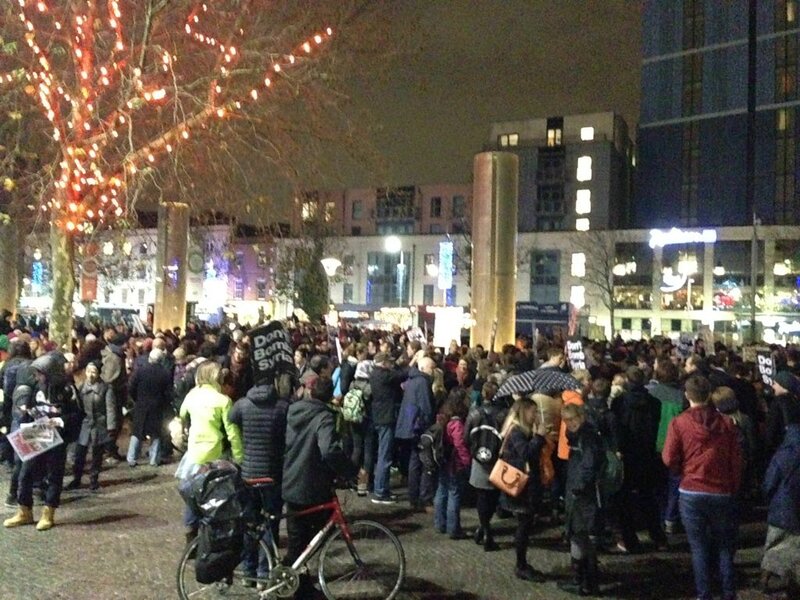 Crowds of ant-war protesters are gathering in Bristol for a rally against airstrikes in Syria. Already around 500 protesters have arrived in the city centre despite the drizzle. The House of Commons will vote tonight on whether to conduct air strikes against the so-called Islamic State.